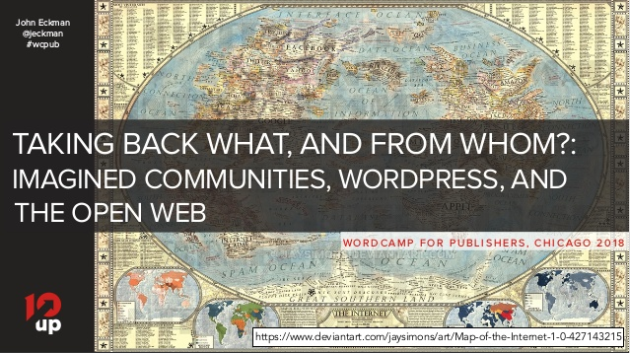 Earlier this month, I had the opportunity to speak at WordCamp for Publishers in Chicago. WCPub is an industry-focused WordCamp, held in different locations each year, which makes it a bit unique. The “challenge” issued by the organizers for 2018 was the topic of “Taking Back the Open Web,” and they wrote that they wanted presentations “that touch on whether an open web actually ever truly existed, what state it’s in now, consequences of a closed web, and how publishers may protect and encourage an open web.” So I took them up on that challenge. I was excited to be invited to give a quick kickoff talk at 48in48 Boston last week. 48in48 is a series of events (Atlanta, New York, London, Boston and others) in which volunteers build 48 sites for 48 non-profits in 48 hours. If you’re in the Boston area and missed out on 48in48 but like the concept, you should also check out New England GiveCamp, which is coming up May 18-20, 2018, at BlueMetal in Watertown. 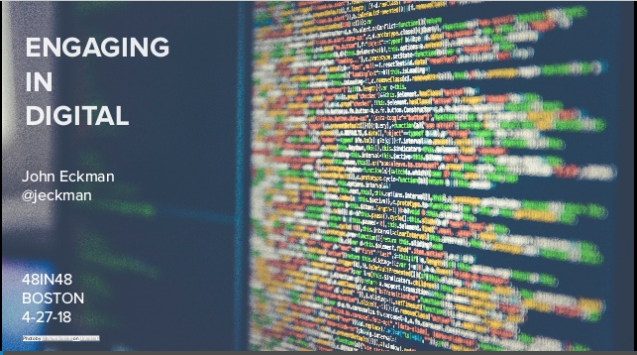 The two events, though sharing a focus on bringing together smart digital professionals (developers, designers, PMs, strategists) with non-profit organizations in need of support, are otherwise very different. Last week, I was happy to speak as part of a 2 day, online conference about remote working: Remote Working Conference 2016. 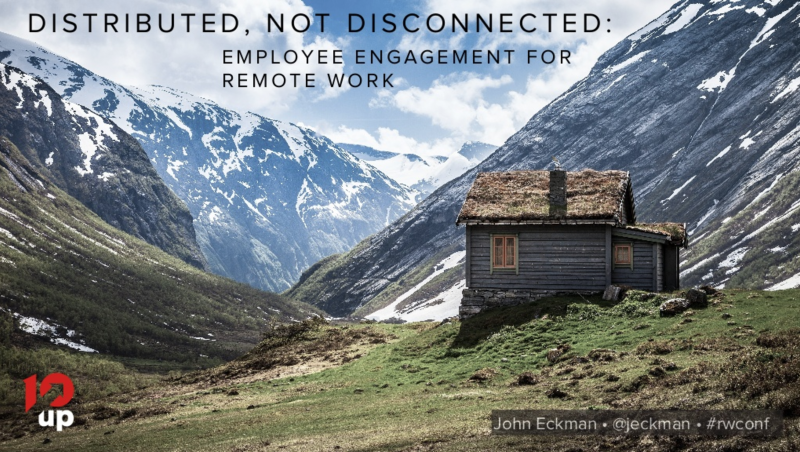 My talk was titled “Distributed, not Disconnected: Employee Engagement for Remote Work.” I described some of the steps we take at 10up to cultivate ongoing employee engagement as a distributed company. Here’s the video, embedded from YouTube with the start and end times set to just my portion. Full videos on YouTube: Day One and Day Two. 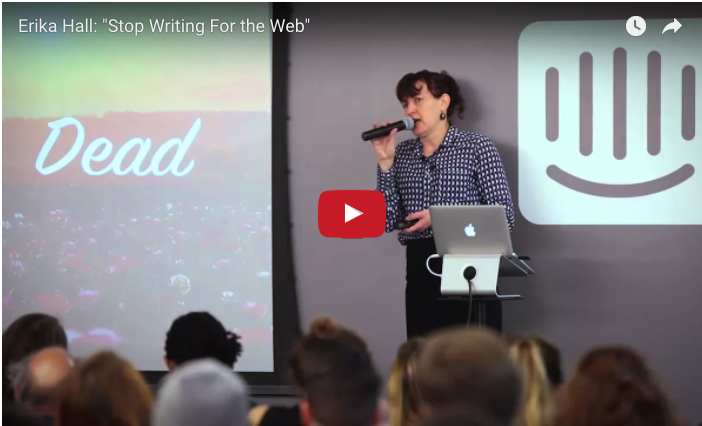 Great video from Creative Mornings San Francisco, with Erika Hall (@mulegirl), co-founder of Mule Design and author of Just Enough Research. Why is it that when we are writing for the web we revert to a context of literacy instead of orality and conversation? Why do we get so afraid to “write for the web” when we spend all day typing to each other? 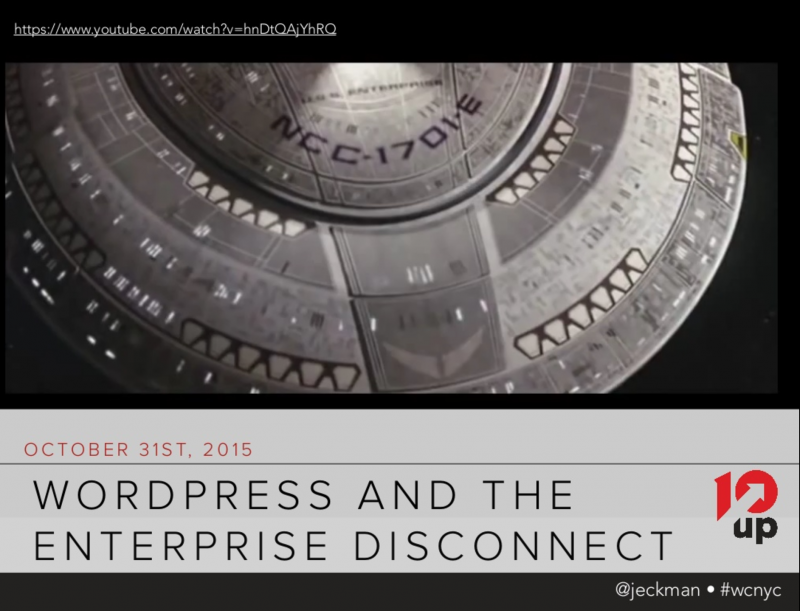 I’ll be speaking later today at WordCamp NYC on WordPress and the Enterprise Disconnect. It’s a revised version of the talk I gave at Prestige in Las Vegas at the beginning of the year.